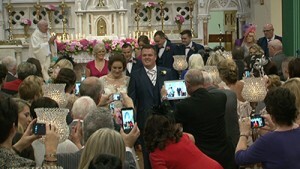 The wedding started off in Laura’s house were we had a bit of a tight squeeze considering Bride the Bridesmaids M am and Dad the dog only joking but you get the jist. I had another great day with a group of professional bloggers who were over for the weekend to try out some of ACERs new products. They arrived in the Conrad Hotel on the Friday were we had a get together then headed to dinner at the cooks academy http://www.cooksacademy.com were they were being helped by professional chefs to made spectacular dishes. On Saturday it was off to the GAA Centre on Mobhi Road http://www.experiencegaelicgames.com were they had a go at Hurling and Gaelic football, they all had a ball and I am sure them being bloggers told the world. 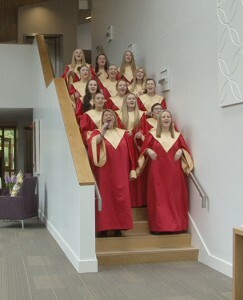 Great weekend had by all. 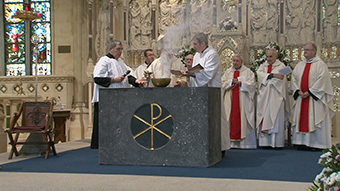 Another extodinery event, the Mass to celebrate the restoration of the church and dedication of the new alter of St Catherine’s of Alexandra that was destroyed by a fire in 2010. 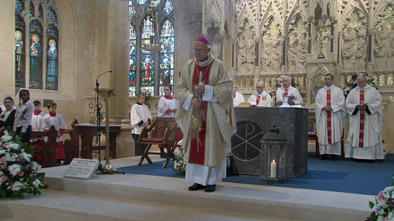 The mass was concelebrated by the Archbishop Dermot Martin. 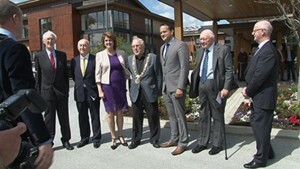 It was a most solmom occasion and may never be witnessed in central Dublin for at least another hundred years. Some of the expertise on this historic building was to make sure dry rot was never going to be an issue again this was overseen and done by Ridout Associates and the stained glass windows supplied by Oidtmann and coted by Building Conversion to make them last as long as possible, some of the original artefacts were lovely and restored by Irish Georgian Society. It was such a large project it needed two scaffolding companies Anti Scaffolding and Scaffold Elevation there was so much to do also included the existing parquet that was well and truly damaged and was replaced by master craftsmen M&M Parquet. 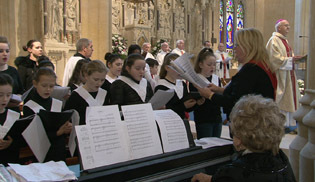 The new organ was done by Kenneth Jones Pipe Organ Builders. 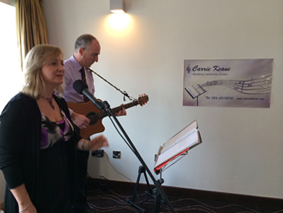 The sound system was put in by Peadar Carley from Sound Productions to ensure we all enjoyed the lovely singers from the parish and of course Fr. Niall. To keep an eye on all the expense was Dermot from Brendan Merry & Partners. Lafferty Project Manager/Architects overseen most of the reconstruction http://lafferty.ie along with quantity surveyors Merit Consulting and of course not forgetting engineers from OCSC. 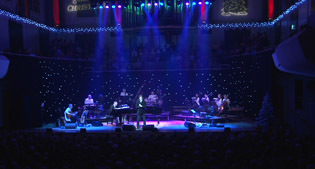 It was great to be part of this historical event too creating a living memory. I was the official videographer for the provincial assembly for the Daughter’s of charity who held the week long conference in the Emmaus Retreat Centre. 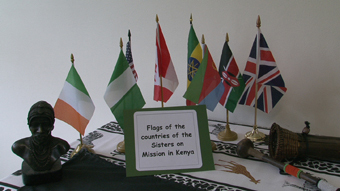 The Daughters of Charity are an International Community of Apostolic Life within the Catholic Church. 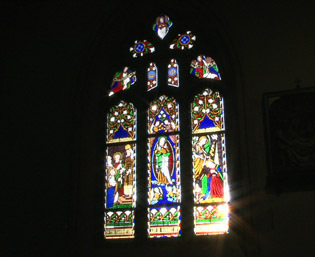 Founded by St Vincent de Paul and St Louise de Marillac in 1633 in France. 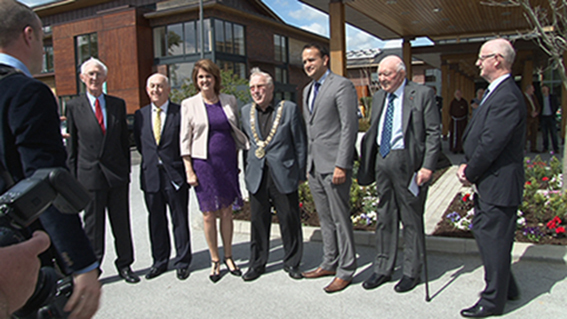 They first came to Ireland in 1855 when the country was still recovering from the effects of the Famine and great poverty abounded. 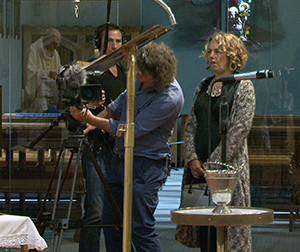 Sunday the 6th July marks the day when we celebrate the Memorial of Marguerite Naseau’s baptism. 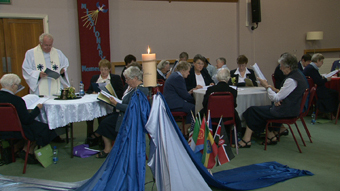 She was the first Daughter of Charity and it is to her that the Daughters of Charity will look for inspiration as they begin their week long Provincial Assembly. 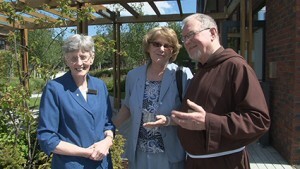 During this time the sisters will evaluate and promote fidelity to their Vincentian charism. It was a pleasure to be with such nice women and to have had my eyes opened to all the wonderful work they undertake not only here but also around the world. 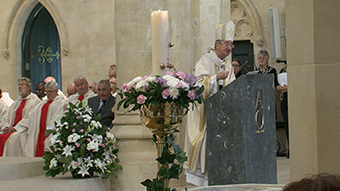 The days were filled with guest speakers such as Abbot Patrick Hedderman from Glenstal Abbey and Rev. Eamon Devlin from Vincentians (C.M.) 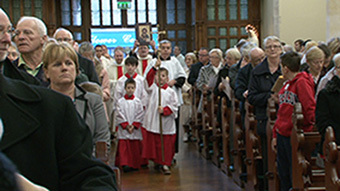 | Archdiocese of Dublin. 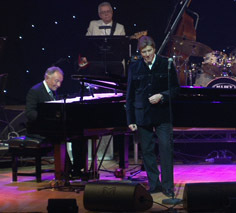 The week flew in and it was all go and I do expect it was a great success considering the amount of hits they received on the uploaded DVD’s that were put up the following day after each event. 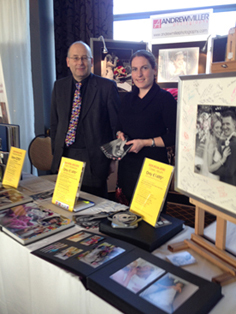 I attended the Wedding Fair as Wedding Videographer at Tulfarris Hotel and Golf Club on Sunday 2’nd February 2014. 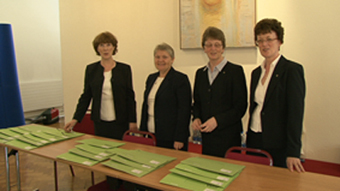 The staff were all busy and they’re to help out with any aspect of planning your wedding at the Hotel. 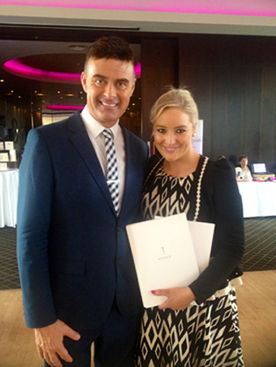 I had the pleasure of meeting several couples that were planning their weddings for 2015 and 2016. There were many couples being shown around the various rooms that were set up to cater for all wedding occasions. There was a great atmosphere and it was great to see all of us answering the questions that the couples had. Mr Andrew Miller was also there showing his fantastic work. 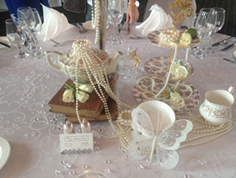 Top Table Designs were there displayong their wonderful work. Mary from Finesse was also there. I have seen some of her work over the past few years and she is so gifted in how she can turn a room into a fairy tale wedding. 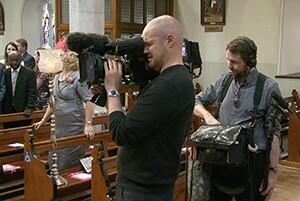 I had the pleasure of filming her own wedding a few years ago. 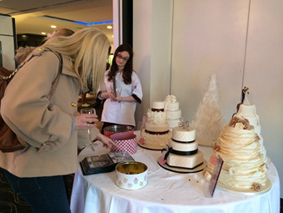 Creative Cakes had some lovely cakes to sample and Oasis Florist also had a lovely selection of flowers on display. There was a very good tribute band called Delorean that played two numbers on the hour so they had time to talk to clients. 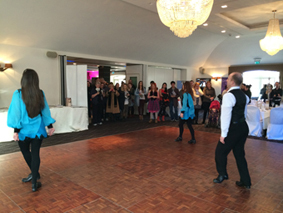 Fergal and Celtic Dance Fusion did a quick demonstration of there skills. 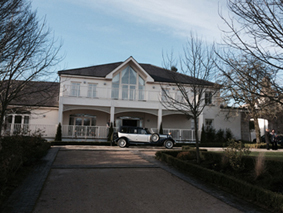 ATT Chauffeurs were outside showing a lovely selection of cars. I had a stand as Wedding Videographer at the wedding show case in the lovely Leixlip Manor Hotel on Saturday 1’st February 2014. 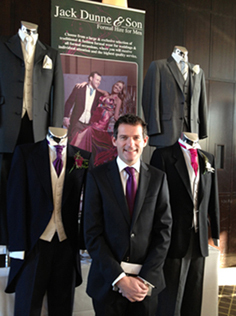 I had the pleasure of meeting several couples who were planning their weddings for 2015 and yes even some for 2016. There was a great atmosphere and most of the couples were already booked in for the coming year, there were a lot of suppliers to choose from. 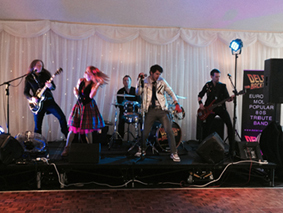 The wedding band 5th Avenue were playing and kept everyone entertained even the suppliers. 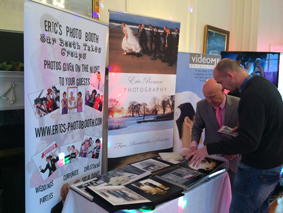 My stand (Video Me) was beside Mr Eric Ronan a well sought after photographer, he has a great personality and is well thought of in the trade and couples love him, he also has the photo booth. There was a lovely Candy Booth and she had to keep an eye on us, we were very tempted to have a dip. 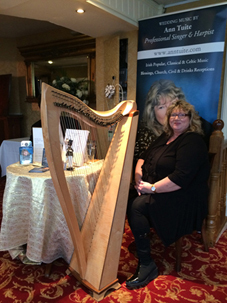 The fantastic Ann Tuite also entertained us with her Harp. Amazing Cakes were showing off a lovely selection of cakes, the choc biscuit cake samples ran out because everyone was going back for seconds. ATT Cars had a lovely selection of cars including their lovely Beauford. It was a great day and I hope all the couples enjoyed the day. 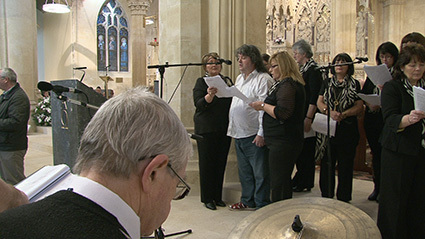 I had the pleasure of filming a most extraordinary event, the reopening of St Catherine’s of Alexandra that was destroyed by a fire in 2010. 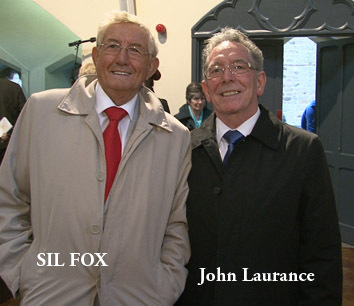 The day started with a gathering at Johns lane were Fr Coughlon addressed the congregation who were all looking forward to the presentation of the short walk to Meath Street. 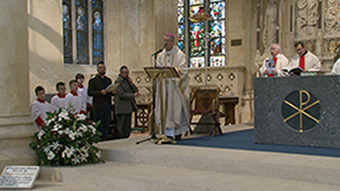 When we arrived at the Church Bishop Eamon Walsh knocked on the Main Door of St Catherine’s and it opened to allow all the parishioners of the area gain access again after a wait of over two years. There was a tremendous effort made by a lot of people to have the Church ready for Christmas, a few that made this happen were Howley Hayes Architects, Michael Hughes from Merit Consulting and all the Lads who worked on the new roof from Irish Building Industry. A great job done by all and a great day to be a part of. 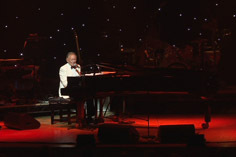 What a great honour to be asked to be the official videographer at The Phil Coulter show at the famous NCH Dublin on Sunday night the 16’th December 2013 and a full house too not a spare ticket to be got. 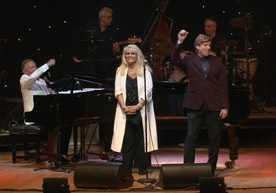 The show was organised by Pat Egan. Mr Andy Cooney from the States was the main guest artist and he was exceptional, he has a wonderful fan base who all came along to see him. 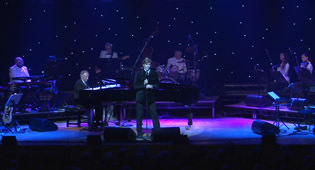 He was also on in the Cork Opera House on Saturday night to a sell out crowd. Everybody had a wonderful night. 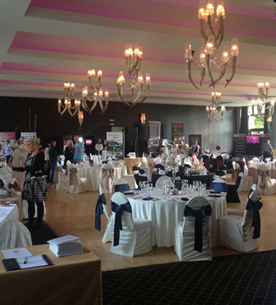 Seafield Hotel Wedding Fair – 22’nd September 2013. 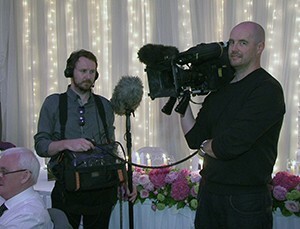 I had a great stand as wedding videographer at the wedding fair at the Seafield Golf and Spa Hotel in Ballymoney, Co Wexford on Sunday 22’nd September 2013. There was a great flow of couples been shown around the various rooms set up to cater for all wedding occasions by the very professional Kate and PJ, the wedding marquee was set up spectacularly by Leita and Wendy the Wedding Doctors, they specialise in antique center pieces on the tables and they looked fantastic. 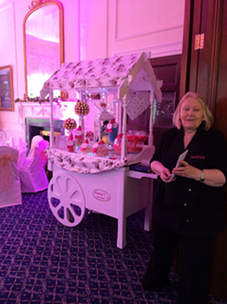 Some of the other suppliers that were there were, Vicky from Magical Events who had a lovely chocolate fountain and the couples were helping themselves to the many choices of fruits and marshmallows that were there for dipping into the chocolate. 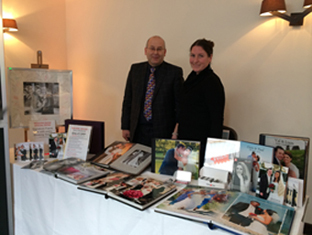 The great wedding photographer Andrew Miller, Arklows no 1 wedding photographer had a lots of wedding albums on display, Dave Whelan from Pro DJ’s, Jack Dunne Formal Wear who can dress you out in anything including a kilt. 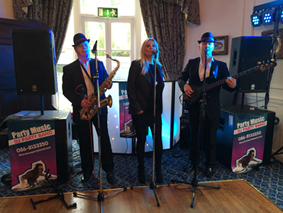 Karen From Murhan Events who caters for all you chair cover and table accessories, I have seen some of their work over the past few years and they do a great job and are so nice to deal with, they are that good that I hired them myself for my own wedding and they were brilliant. Jean from Hats by Jean had a wonderful selection of Hats for the wedding guests and the mother of the bride. 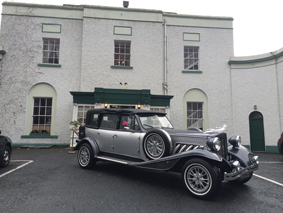 There was a fabulous selection of cars the baby Bentley and a Chrysler 300 from weddingcar.ie. 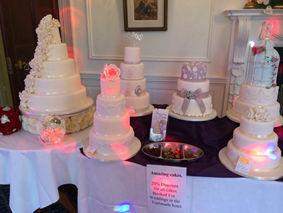 The wedding fair was a great chance to meet new couples and the other suppliers, The Seafield Hotel is an amazing venue and PJ and the team really do a great job as they did for my own wedding there in April.